Members of the team are research active, and supervise postgraduate research students to Masters (MSc.) and Doctorate (PhD) level. Current and past postgraduates have worked across several areas in nutrition, relating to inflammation, vitamin D, ageing and digestive diseases. 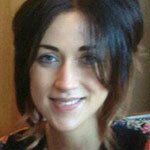 Niamh Aspell is a final year PhD candidate funded by an Irish Research Council scholarship. Her doctoral research investigates the impact of vitamin D status in ageing. The work includes a randomised controlled trial investigating the effect of vitamin D supplementation on cognitive and physical outcomes in older adults. Further work in vitamin D and ageing is derived from the analysis of large population based cohorts. Niamh conducts her work with Associate Professor Maria O’Sullivan and Professor Brian Lawlor. Prizes and Awards: Recently, Niamh won a Nutrition Society Postgraduate Competition Award in June 2017 at Queens University Belfast. And, was a poster prize winner, with co-authors, at the Irish Society of Clinical Nutrition and Metabolism (IrSPEN) 2017. She has presented her thesis work at several conferences including the Nutrition Society, IrSPEN and the International Association of Gerontology and Geriatrics European Congress. Niamh is a problem based learning tutor in the undergraduate medical programme and is a co-supervisor for final year Human Nutrition and Dietetics undergraduate projects. With a primary degree in Human Nutrition from the University of Ulster (2013), Niamh has further attained a postgraduate certificate in Applied Statistics from TCD (2016). She previously worked as a researcher assistant, for example, in the Neuro-Enhancement for Independent Living program in TCD.